The shredded input materials enter the Delamination Mill at the top. 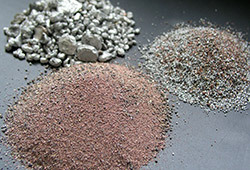 Very strong forces act on the materials, positively connected parts are broken apart, and material composites are delaminated at the phase boundaries. During the process the metals take on a globular shape which simplifies the downstream separation and results in a high output quality and yield. A further size reduction also takes place during processing. 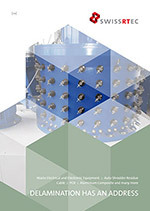 The industry leading swissRTec Delamination Mill operates at a relatively low processing speed thereby saving energy and extending the lifetime of the tooling substantially. 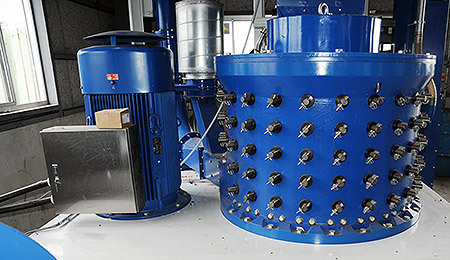 The unique advantages of the swissRTec Delamination Mill technology have been proven with satisfied customers worldwide.